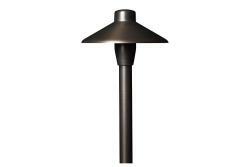 Form follows function with traditional styling of this mid-width path light. 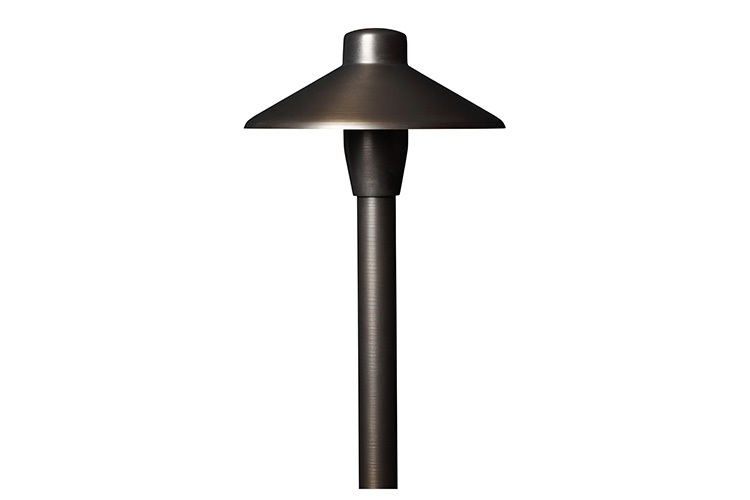 A 18" tall antiqued brass stem and 6.75" shade harmonize the transition from day to night. A ceramic bi-pin socket accepts many types of G4 LED and Halogen lamps. A frosted glass lens with Viton O-ring and white under coat omits glare while keeping water out. A small brass thumb screw allows for quick field access to the lamp. No Additional Specifications are Displayed at this Time.